Erik Belcher loves the Fayette school district, and once told the Board of Education it would take something special to make him leave his job as superintendent. 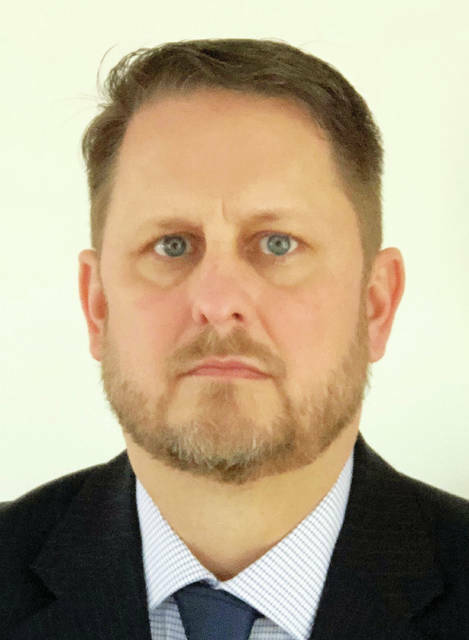 That “something special” arrived this month, so Belcher will leave the beloved school district to take the helm Aug. 1 as superintendent of Napoleon Area City Schools in Henry County. He will replace Dr. Steven Fogo, who has announced his retirement. The new position is an opportunity to grow professionally, but Belcher can’t help but feel bittersweet about the change. Belcher, 47, was one of 18 people to apply for the position in February. The Napoleon school board eventually narrowed the candidates to four, who met with both board members and a large community group during final interviews. Belcher was approved at the board’s March meeting, and will sign a three-year contract with the district at $112,000 annually. He said the decision to move on was not easy. Steeped in the district, its students, and the community the past seven years, he would have retired from Fayette schools had the new opportunity not come along. Belcher said he won’t enter the position with an agenda. Instead, he’ll make observations, get acquainted with people, and immerse himself in the community. “I’m diving in, but I also know that anything worth having or doing begins with relationships, and those take time,” he said. The West Unity native was appointed both superintendent and elementary school principal when he joined Fayette schools in 2012. One year later, he transitioned to full-time superintendent. He said he’ll continue to work hard for the school district during his remaining months in areas such as legislation, unfunded mandates, and providing mental health care to students. Fayette school board president Kirk Keiser said Belcher has been a valuable asset to the school district and the community. “Erik has done great things for us at Fayette, and I’m sure he’ll do great things at Napoleon,” he said. Belcher said while he awaits the challenges of Napoleon schools, he finds it difficult to make the transition. “I’m excited about it, but also sad on a daily basis,” he said.